Your fig has done really well, you can't tell at all that it has been through trying times. Keep an eye on those tasty figs as they ripen. We found that in our garden we have another competitor for its fruits....squirrels! Who would have thought squirrels would have a taste for the slightly exotic ! I shall keep a vigilant watch !! Hi Papaver, thank you, it does now! It has been through some nail biting adventures so far this season! Hi Amanda, it is a lovely tree despite the ill treatment it has received at my hands ! Did you find it wept badly when you pruned it. We haven't dared try again with ours as it oozed liquid seemingly for days when we pruned ours. Hi Helen, well well well - ours never shed a tear! Not one ! 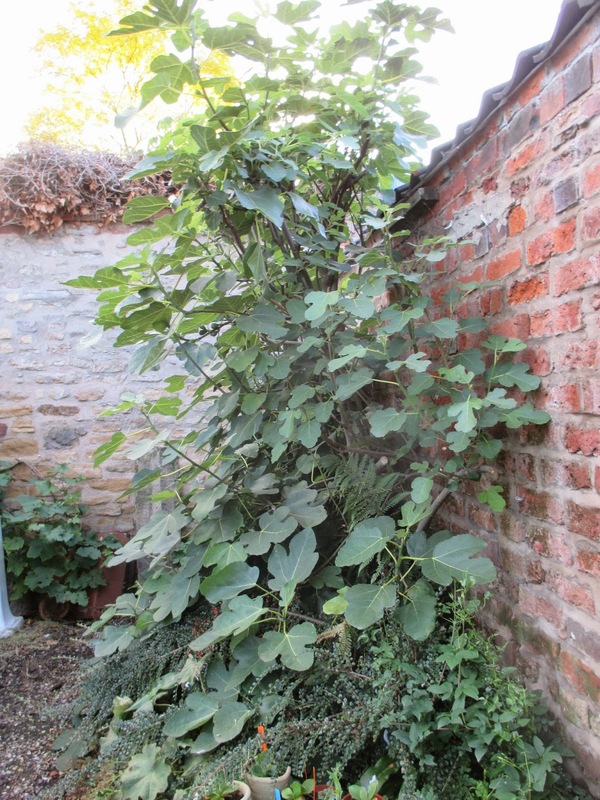 Your fig tree is looking so well, almost as if it hadn't been through such a traumatic time! I hope you enjoy your figs next year. 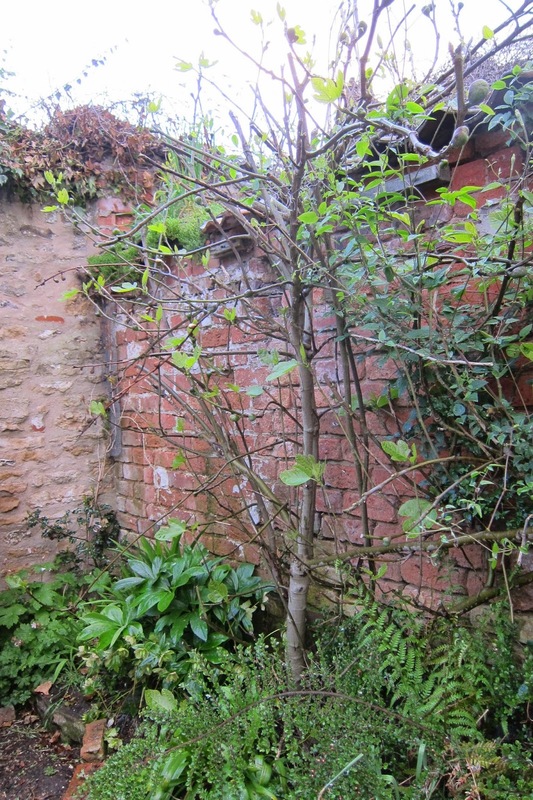 I remember when you cut the fig tree back....What a difference! It looks wonderful. Even if it didn't produce fruit, the leaves are so showy. I'm not sure I understand.....are you saying the little figs are going to stay all winter and ripen next September? It certainly looks a lot healthier now ! On Gardener's world, Monty Don was saying that the larger ones would ripen in the new year, in a more favourable climate, and the smaller ones will ripen next summer. I think ! I'm sure others will be more knowledgeable than me about little figlets!! 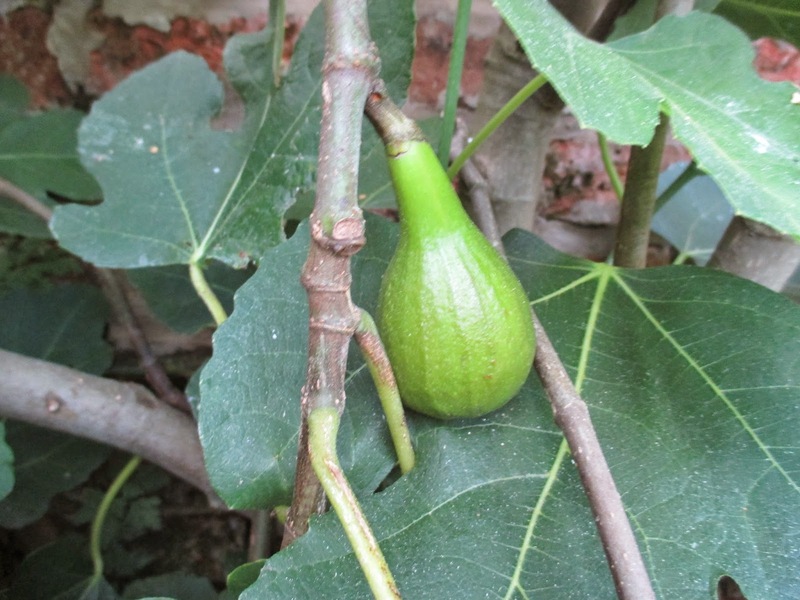 It is amazing how well the fig tree recovered and even managed to produce a fig. I am sure the clematis won't be far behind. Hi Jennifer, it must be pretty well indestructible! I hope the clematis makes a good come back next season! Wonderful job, Jane! Lovely figs and I am sure you will have some juicy sweet figs later. I hope the repair of the stone wall will not affect the fig tree much. I so wish I had thought of that title - excellent! But I don't have any fig trees, so I'm not sure how I would have used it. 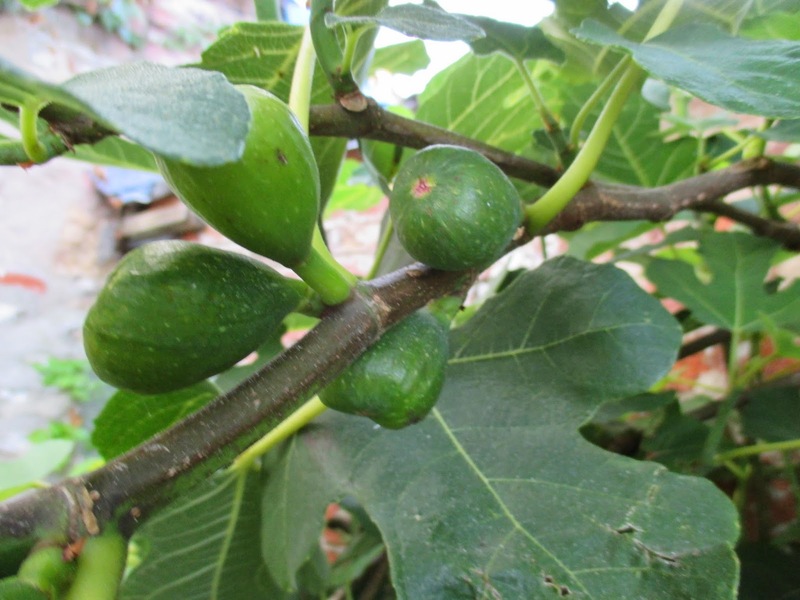 In any case, I wish you a bountiful harvest of figs next year! It is a groan-worthy title !! Thankyou! Hi Jane, thank you for visiting my blog and for understanding the sadness of fall's impending destruction. You and your blog are a real delight. I'm adding you to my Feedly list. 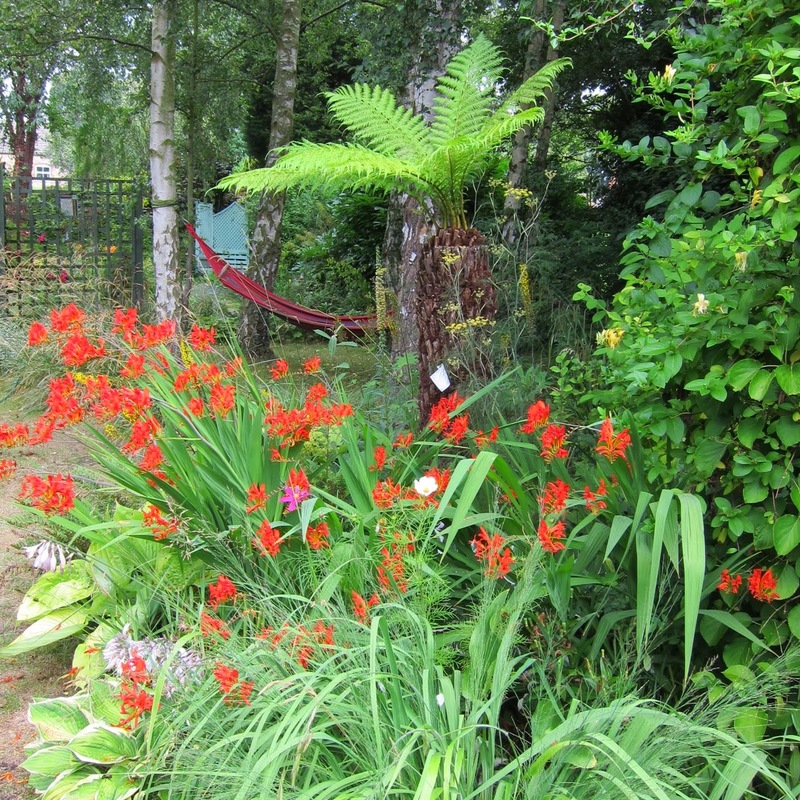 I enjoyed looking at your "About Me" page and seeing your fabulous gardens. So much to enjoy. I too have a fig tree but I almost lost it after last winter's extreme lows. I don't have figs on it but I sure love the foliage. I hope your repairs were taken care of. That red fuzzy caterpillar is called the Chenille Plant (Acalypha hispida). It is tender here but apparently invasive in frost free areas. This is the first year I've grown it and it's kind of fun. Cheers. Hi Grace, nice to meet you and thank you for your kind comments.Maybe your fig will rally after it's near demise ? I know mine did! Thanks for identifying red furry caterpillars ! Your tree has recovered really well and looks really healthy. How exciting to get a fig. Next year you will have lots with a bit of luck. 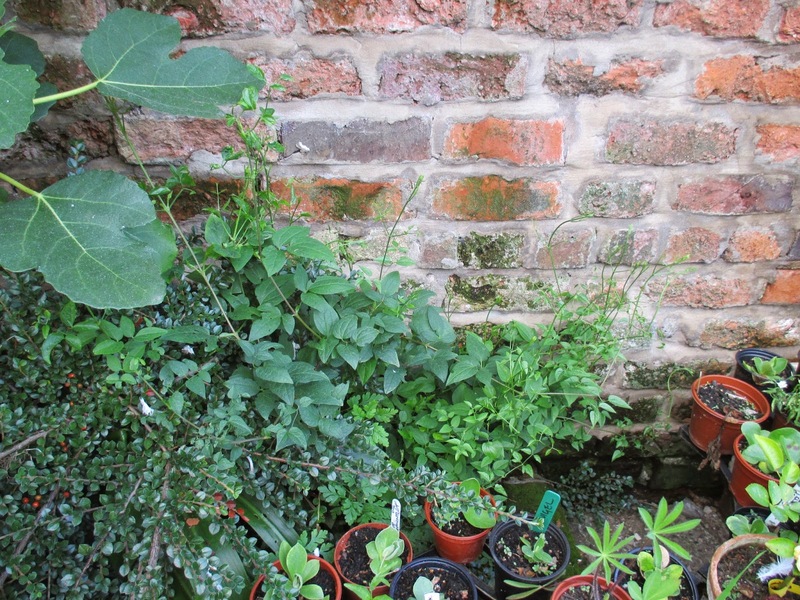 Hi Chloris, yes, I 'suppose I was lucky to get even ONE fig after the trials I have put that poor tree through! Hi Janet, one fig each would be a vast improvement! The neighbours are lovely, thank goodness, and very understanding about their new rockery, but, after what you hinted at ... I shall be numbering those stones !! I'm sure your fig was delicious, we're just harvesting the second crop from ours. Having a tree that crops twice a year in wonderful! The first crop was in late June this year (usually July) but were large and a bit watery but the second crop also a bit early are perfect - you can't have too many figs can you? Hi, two crops a year is positively exotic! Do you ever get all figged out ? I'm so glad you got a fig. 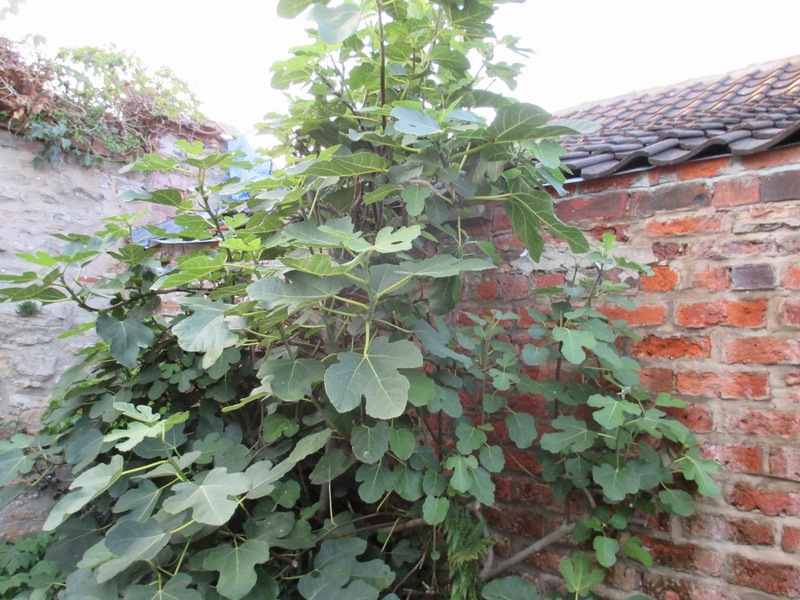 There is something timeless about a fig tree and a brick wall. Figs live a long time don't they? Hi Susan, I think they are very long-lived , but this is my first one. It is still a youngster at about 15 years old. I'm kind of jealous. I love figs and I really wish it was possible to grow fig trees where I live. Oh dear! Whereabouts are you Erika ? At least you got one fig to enjoy, and the plant does look incredibly healthy so hopefully the promise of more to come next year. You can't beat a fresh fig :-) . What a shame about your wall, but lucky the builders don't need to put their size nines near any plants this time around. 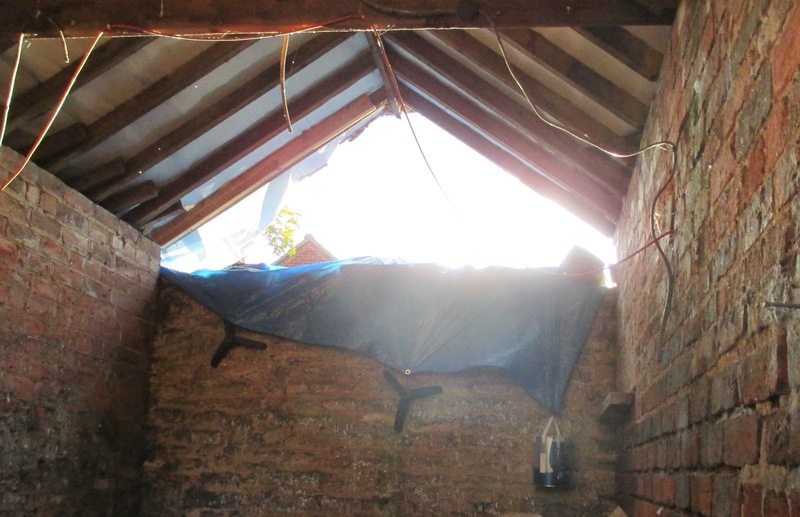 Let's hope there is no more adverse weather this year. Hi paula, let's hope it is all plain sailing from here on in! A mild autumn and winter would also be much appreciated ! 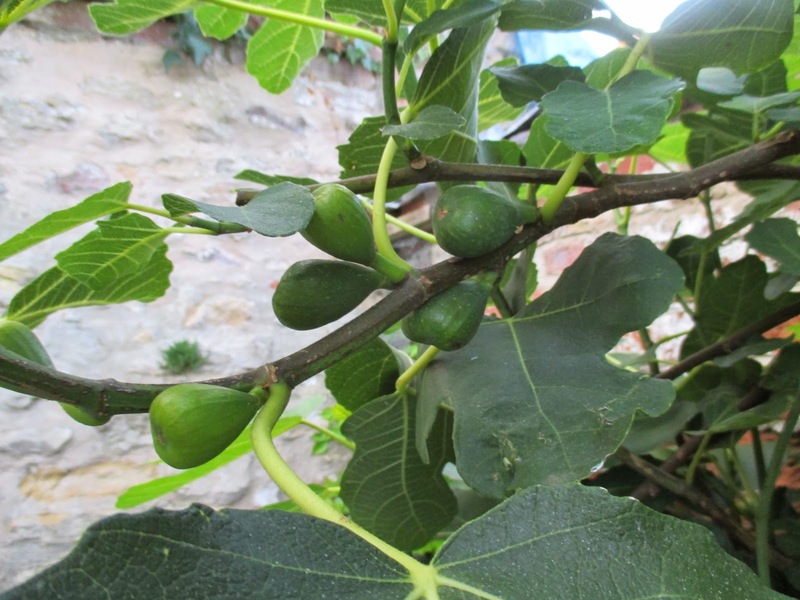 Your fig tree looks quite healthy now, and hopefully next year there will be enough you won't have to share one fig! 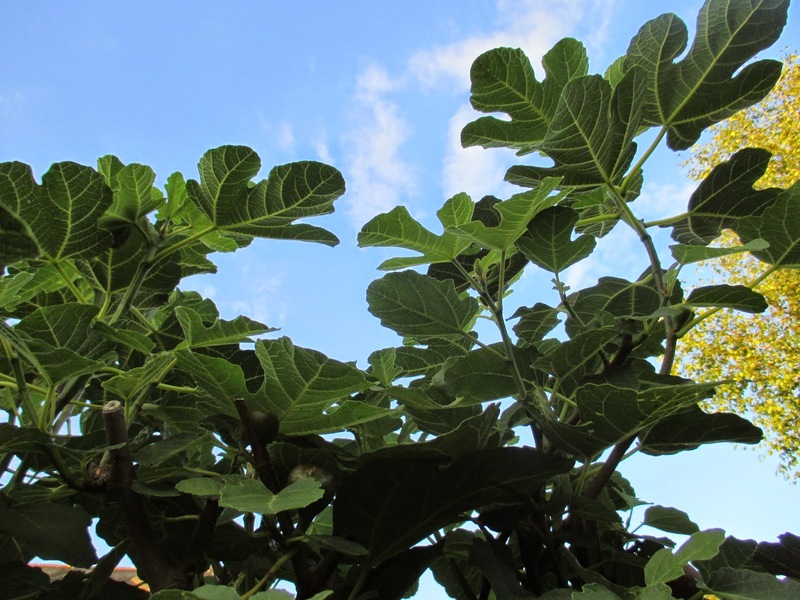 Like Erika, I am jealous--fig trees aren't hardy in my area. Hi Rose, thanks for your comments . Yes, hopefully there will be at least 2 figs next year !! Whereabouts are you ? My fig tree has coped with minus fifteen ok ! Hi Pam, thanks for your comments. I hope you are right and that there is more than one fig next year! 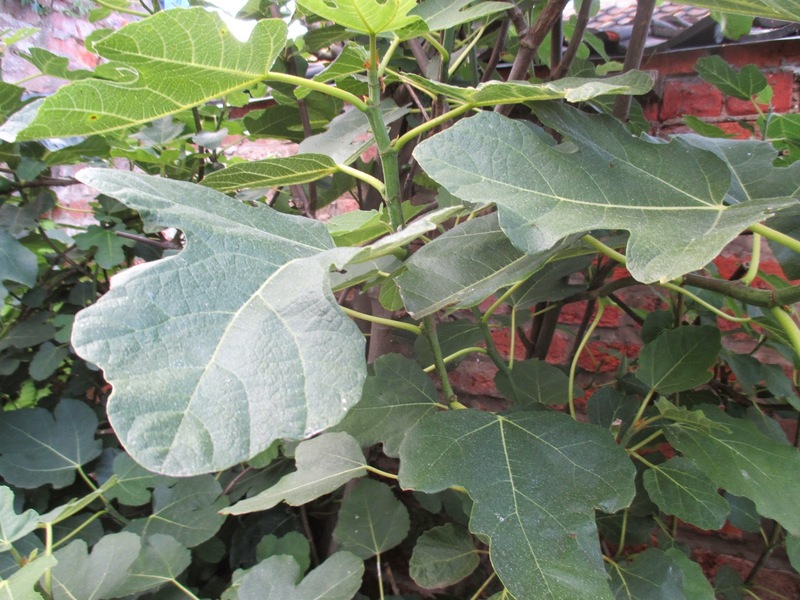 Does it get too cold in the winter for you to grow a fig tree ? I wanted a fig tree for a long time. Your story pushes me from wanting to actually getting it! Love your sense of humor! Hi Tatyana, thanks for comments 1 Go for it ... you won't regret it ! Hope you get more figs than me ! Too kind Tammy! That would be lovely - and I shall send you something interesting in return ! Are you into grasses ? Some lovely Molinia seeds or maybe some from Rosa Glauca - or something smaller and more floriferous ?